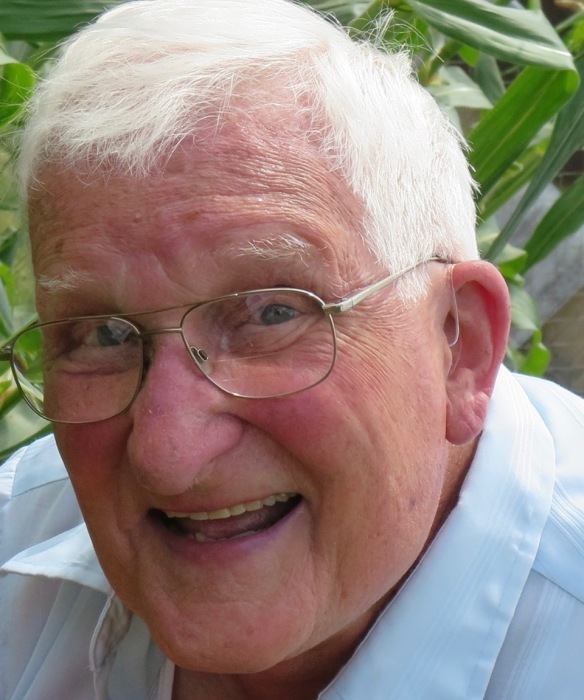 Charles “Jack” Benesh, age 93, of West Milton, passed away on Saturday, January 26, 2019 at Miami Valley Hospital. He was born April 6, 1925 to the late Anton & Anna Marie (Chaera) Benesh in Bellaire, Ohio. He is preceded in death by his parents; wife Maybelle Elsie (Foster) Benesh; siblings Edward Benesh, John Benesh, and Suzie Honsa. He will be missed and remembered by his loving daughter Diana (Gene) Gooch of Phillipsburg; 3 grandchildren and 7 great grandchildren. Jack served his country proudly in the United States Army during World War II. Funeral services will be held at 11:00 AM on Friday, February 1, 2019 at Hale-Sarver Family Funeral Home, 284 N. Miami St, West Milton. Burial will follow in Glen Haven Memorial Gardens. The family will receive friends from 5-7 PM on Thursday, January 31 at the funeral home. Memorial contributions may be made to the American SIDS Institute at sids.org. Online memories of Jack may be left for the family at www.hale-sarver.com.